OK let me just say… I absolutely LOVE Clickfunnels for business! Combine Clickfunnels with Instagram and you have a HUGE opportunity to earn a solid income online! Making money online has never been more accessible to the everyday entrepreneur… I’m no genuis, just a farmer’s son with a desire to escape his dead-end job back in 2016! This was my 2017 income using just Clickfunnels and Instagram. Honestly, I’m not saying just ANYONE can do what I’ve done, but there are certain tactics & strategies which can be applied to see real results using these platforms. Why Use Clickfunnels with Instagram? Funnels made with Clickfunnels create urgency, a fluid customer experience and stops your browser from getting distracted, leaving your site and thus no buying any products! If you fill your funnel with enough value; product selling points, testimonials and FAQ’s answered, you can expect sales! However I hear a lot of people struggle with their funnels, not knowing how to get emails, never mind sales… so how about some funnel examples? Would that help?? One of my favourite funnels with Clickfunnels is with my cycling brand @CyclePreneur where I’ve managed to sell hundreds of cycling caps since late 2016. The Instagram page has grown to more than 22k followers, I’ve even created a second page focused on purely my cycling caps! Pretty cool! Selling features on Instagram can be difficult. Knowing the RIGHT audiences to sell these features to is key! 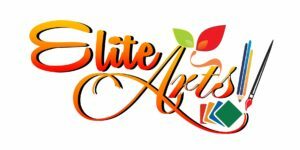 Step up Instagram Artists… OK so artists don’t have much money to spare, they won’t pay for actual marketing advice BUT by purchasing a guaranteed feature on my Instagram page @Elite_Arts they also receive an Ebook teaching them some key tips for selling art online. It’s a WIN WIN for artists. They get their feature, they also top tips, and I earn a small monthly income from those signing up! Products like this actually help me PAY FOR CLICKFUNNELS which puts less pressure on the cost for Clickfunnels. The above examples have been key to making a profit using Clickfunnels and Instagram… but for the REAL full-time income, you NEED to provide a service! Mastering Instagram has allowed me to not only earn an income from my own personal brands and feature pages, but it’s allowed me to charge other brands / businesses for my time, helping them grow their own pages. OK so this isn’t really a funnel, but being able to create custom pages with Clickfunnels and setup direct debits with payment provider Stripe makes this actually a very useful platform to earn a great income, hassle free, month in month out! That’s honestly been my secret to such a SOLID £35k+ income! Some of my clients are within Cycling… some are within photography. Basically anything I’m interested in, I can help those involved trying to build a business on Instagram. In summary, I see a lot of Clickfunnels Reviews but without practicing, creating funnels for yourself, looking at funnel examples such as mine (see below), you can do so much with this service. My Clickfunnels Review is certainly a POSITIVE ONE! So you have my secrets, you know what makes me my income using Clickfunnels and Instagram… who wants my TOP 5 funnels for FREE?? All you have to do is simply sign up for your 14 day trial with Clickfunnels HERE and send me an email at info@tompooleymarketing.com with your proof (screenshot) of you doing so… and I’ll send you FREE links to my 5 BEST SELLING funnels! SIMPLE. Join the mission, become a funnel expert yourself by copying what’s worked for me!